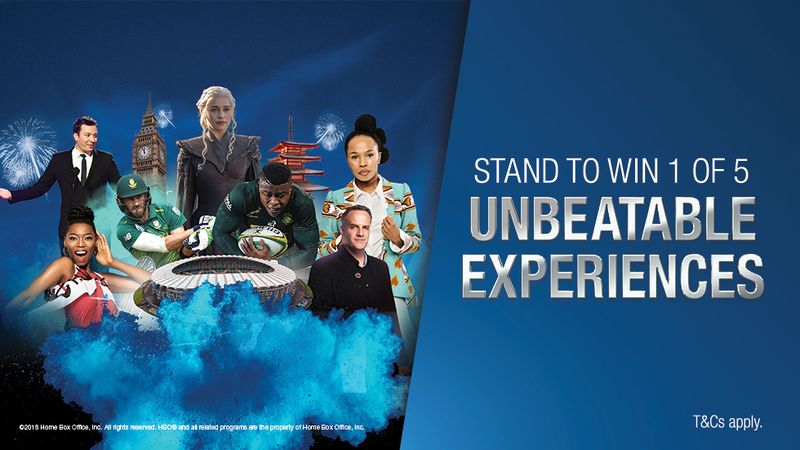 DStv is giving customers an opportunity make it a year of unbeatable entertainment with DStv Premium by experiencing a once-in-a-lifetime trip to watch the ICC Cricket World Cup 2019 in England and Wales, courtesy of SuperSport. Get, upgrade or stay connected to DStv Premium until 30 April and enter at dstv.com/premium or SMS "Cricket" to 32366. Prize is for a winner plus a partner. Full hospitality package at The Oval to watch SA versus England, including transfers. 4 nights in a 4* London hotel on a bed and breakfast sharing basis. Return airport transfers in a luxury vehicle. 2 hour private chauffeur-driven Mini Cooper tour of London. Champagne Experience at London Eye with an English speaking guide. To qualify for the draw customers must opt in to competition online or by SMSing "Cricket" to 32366. Winner will be informed telephonically and via email on 15 April 2019. SMS charged at R1.00 only. 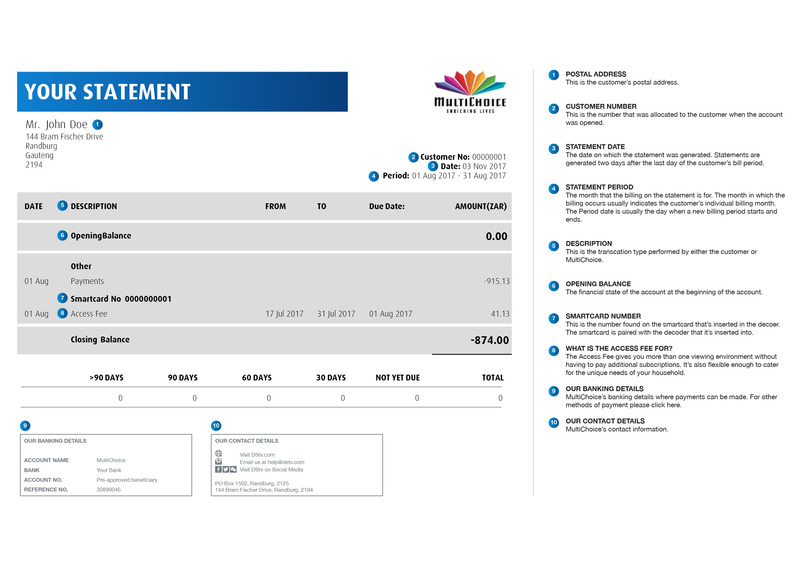 1 These are the standard terms and conditions for competitions conducted or promoted by or in association with the MultiChoice South Africa Group (“MultiChoice”). 2 Your entry into the competition and/or your acceptance of a prize (in the event that you win a prize) constitutes your binding acceptance of the terms and conditions on behalf of yourself and any person with whom you may share a prize (in the event that you win a prize which is for you and one or more additional persons (“your partner”). 3.2 the spouse, life partner, business partner or associate, or the natural or adopted parent, child, or sibling, of any of the persons specified in 3.1 above. 4 Entrants under the age of 18 must obtain permission from their parents or guardians before entering. 5 Unless otherwise specified in the competition rules, you may enter the competition anytime before the closing date and as many times as you can, irrespective of whether you previously won a prize from a competition conducted by MultiChoice. 6 If you use a mobile phone for entry into the competition, the telephone calls / text messages you make will be charged at the prevailing rates, which may vary from time to time. "Free" minutes under a cell-phone contract do not apply. 7 It is your responsibility to ensure that your entry is received by us prior to the closure of the competition. Any entries which are not received by us prior to the closure of the competition will not be eligible to participate, regardless of the reason for the late entry. We and our affiliates are not responsible for any entries which are not received by us, whether timeously or at all, regardless of the cause thereof. Without limitation, we and our affiliates are not responsible for any problems or technical malfunction of any telephone network or lines, computer on-line systems, servers, or providers, computer hardware or software failure or malfunction, traffic congestion (whether physical, or on the Internet, telephone lines or at any service provider, web site or other device or medium), or any combination thereof, or any other technical or other problems. 8 We and our affiliates are not responsible for any injury or damage to your or any other person’s computer, mobile telephone or other device used by you to enter into, or obtain any materials related to, the competition. 9 It is your responsibility to ensure that any information which you provide to us is accurate, complete and up to date. 10 Any costs or expenses which you may incur other than in respect of those items specifically included in a prize are for your own account. MultiChoice will not be responsible for any costs or expenses which you, or your partner (if applicable), incur during and for purposes of your entry into the competition and your acceptance and/or use of a prize. 10.3 a prize, or any aspect thereof, will be satisfactory, punctual, free from defects, safe or reliable. 12 We and our affiliates will not be responsible for any harm, damage, loss or claim relating to the provision of any element of a prize or any changes to a prize that may be made at any time. 13 Prizes are not transferable and may not be deferred, changed or exchanged for cash or any other item. 14 You may not win a prize if it is unlawful for us to supply such a prize to you. If you do win such a prize, you will forfeit it. 15 You must possess whatever documents and permissions that may be required in order to accept and use a prize, including, as regards international travel, a valid passport and all necessary visa and travel documentation, which documents and permissions it is your responsibility to obtain at your own cost, and which documents and permissions must remain valid in such minimum form and for such minimum period after the prize date as may be required by the relevant authorities. 16 The winners will be notified by means of the contact details provided to us. If we are, or a third party supplier is, unable to contact a winner within 5 working days or if the winner is unable to collect the prize within 10 working days, the winner will forfeit the prize and MultiChoice reserves the right to re-draw a new winner under the same conditions. 17 We may invite you to be present when the prizewinners are determined or announced, to participate in any of our marketing activities, to appear in person in the electronic media and/or the print media, and/or to endorse, promote or advertise any of our goods or services, for which no fee, royalty or other compensation will be payable. You may decline such an invitation. 18 We may require you to provide us with such additional information and documentation as we may reasonably require in order to process, confirm and facilitate your acceptance and/or use of a prize. If you refuse to provide us with the requested information or documentation, you will forfeit the prize. 19 In the event that you win a prize provided by a third party supplier, the supplier will contact you to arrange the collection thereof. In this regard, you must collect the prize at the time and date arranged with the supplier of the prize. All correspondence regarding the prize must be directed at the supplier of the prize. MultiChoice will not be responsible for any further correspondence, harm, damage, loss or claim relating to the provision of any element of the prize. 20 We and our third party suppliers, as the case may be, reserve the right to vary, postpone, suspend, or cancel the competition and any prizes, or any aspect thereof, without notice at any time, for any reason which we deem necessary. In the event of such variation, postponement, suspension or cancellation, you agree to waive any rights, interests and expectations that you may have in terms of this competition and acknowledge that you will have no recourse against us, our affiliates and third party suppliers. 21 You agree that your participation in the competition, and your acceptance and/or use of a prize, or any aspect thereof, is at your own risk. 22 We and our affiliates will not be responsible, and disclaim all liability, for any loss, liability, injury, expense or damage (whether direct, indirect, incidental, punitive or consequential) of any nature, whether arising from negligence or any other cause, which is suffered by your participation in the competition or the acceptance and/or use by you, or your partner (if applicable), of any prize, or by any action taken by us or any of our affiliates in accordance with the terms and conditions. 23 You, and in the event of your death, your family, dependants, heirs, assignees or any other beneficiaries of your estate, indemnify and hold us and our affiliates harmless against any claim by you, or your partner (if applicable), (whether direct, indirect, incidental, punitive or consequential) of any nature, whether arising from negligence or any other cause, relating to any injury, loss, liability, expense and/or damage which you may suffer, howsoever arising, in relation to your entry into this competition and/or acceptance and/or use by you of a prize. 24.4 any minor will be accompanied by a parent or legal guardian. 25.3 you indemnify and hold us and our affiliates harmless against any claim by any person, (whether direct, indirect, incidental, punitive or consequential) of any nature, whether arising from negligence or any other cause, relating to any death, injury, loss and/or damage which may be suffered howsoever arising in relation to your failure (or that of your partner, if applicable) to comply therewith. 26 For purposes hereof, "affiliate" means our partners, co promoters and sponsors of this competition, our subsidiaries, our and their subsidiaries and respective holding companies, the subsidiaries of their holding companies, and our and their directors, officers, employees, agents and representatives. 27 These terms and conditions will be construed, interpreted and enforced in accordance with the laws of contract and dispute resolution in the Republic of South Africa. 28 MultiChoice and the judges' decision on any matter concerning the competition and/or arising out of these terms and conditions is final and binding on you, and no correspondence will be entered into.